Protect your Alpha Mini and make it look even more attractive to prospective customers and clients with our Clamshells for Alpha Mini USB Drives! These clear plastic packages will offer your drives the security and style they need to thrive in retail environments or in shipping. Comes with a built-in hang tab for easy retail display! The Clamshells also come with a standard printed insert. Customize your insert with your logo or original artwork to give your USB packaging some added flair! The Alpha Mini USB is a small flash drive with a HUGE amount of storage power. It makes for a great retail item and promotional giveaway. 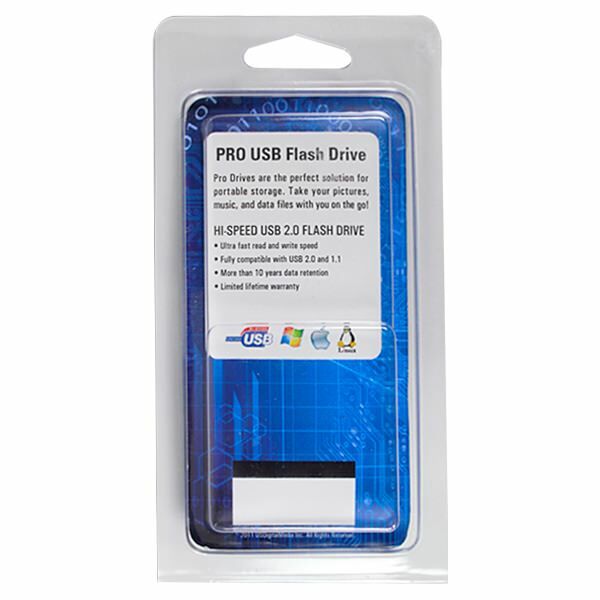 Give it the added security and enhanced presentation it deserves with our sturdy, reliable Clamshells for Alpha Mini USB Drives! 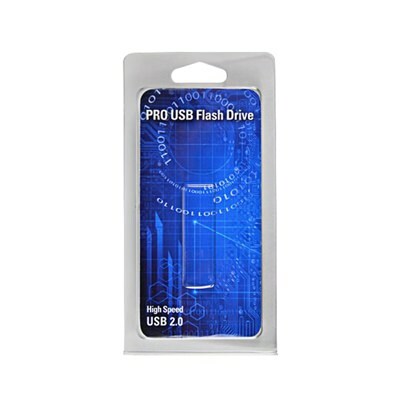 These plastic clamshell cases are specifically designed to safely house the Alpha Mini Drive. 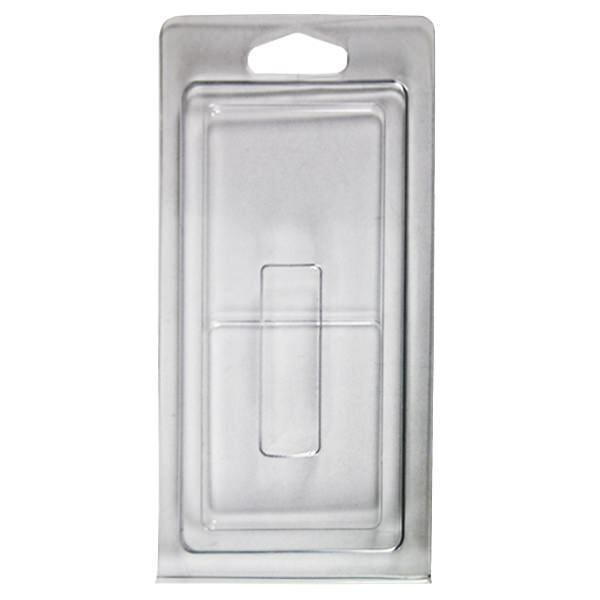 They come with a built-in hang tab that makes it ideal for retail store shelves and display units. It snaps together with ease, making them simple to assemble. These clamshells also come with a standard printed insert for additional retail polish! Make your Alpha Mini drives stand out by customizing your clamshell with a Custom Printed Insert! Add your logo or original artwork to make this handsome piece of packaging even more attractive. 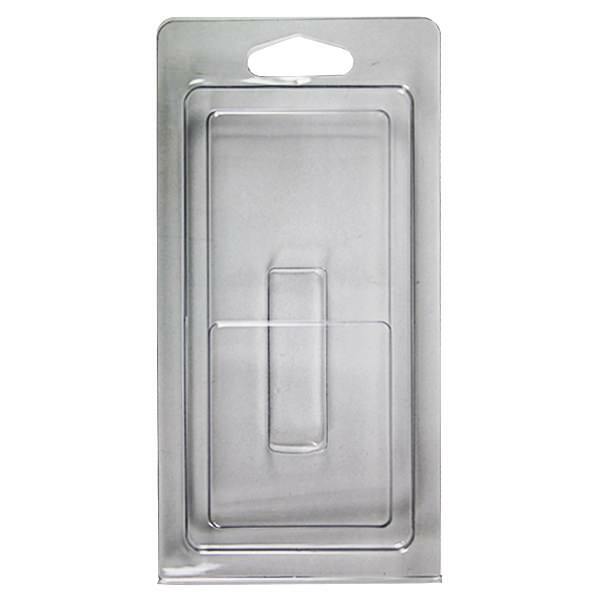 These clamshells are great for shipping as well, as the clear plastic will protect your drives from dust, dirt, debris, and other forms of damage. The cases are also scratch resistant. The Alpha Mini Clamshells are available in packs of 50.